Not everyone likes the idea of visiting the dentist much less doing it twice every year. However, even dental associations support this practice for it is good for the state of the overall oral health. For everyone to know the importance of dental checkups and cleanings, we at Sunny Dental of Wilton Manors highlight their benefits below. Compared to regular cleanings using a toothbrush and floss, the one provided by a dental clinic is more thorough. Aside from this fact, there are more reasons for patients never to miss receiving this essential treatment. Not scheduling routine visits can cause a patient to pay the price in the long run. It is possible that a complication has been causing discomfort and has already affected a large portion of the mouth. As a result, they would need to undergo complicated and extensive procedures that can be costly. During cleanings, aside from getting rid of harmful accumulations like plaque and tartar, dental professionals also check the state of the overall oral structures. It is possible for them to recognize irregularities that need to be tended immediately. Gum disease is a devastating condition that is not only limited to the mouth. If left untreated; it can lead to potentially dangerous health issues like cardiovascular disease. As gum disease worsens, it can also result in tooth loss which can bring in more complications. Fortunately, scheduling routine cleanings help get rid of the factors that can cause the development of gum disease. Professional cleanings help get rid of factors that can compromise the teeth which include stains from foods or drinks with intense colors. 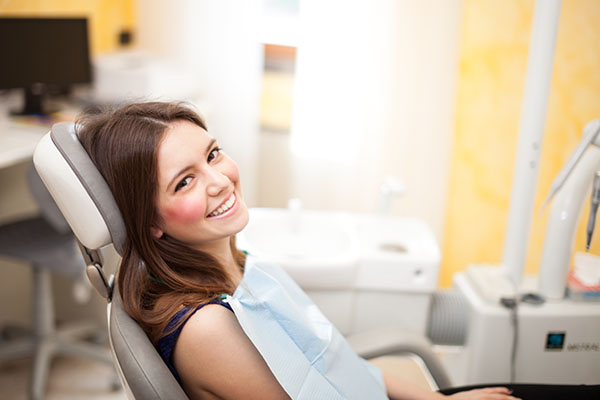 As a result, patients can get a healthy and bright smile that can boost their confidence. Oral hygiene habits may eliminate bacteria, plaque, tartar, and other unwanted accumulations, but professional cleanings do it best. Afterward, aside from a cleaner mouth, patients can expect a fresher breath as well. Patients should understand that although proper brushing and flossing habits are observed, it is still possible for them to acquire cavities. But by scheduling routine cleanings, their risk of developing cavities is lower. With all these said, we hope that patients would realize the importance of not skipping biannual appointments. What are you waiting for? Let us at Sunny Dental of Wilton Manors provide additional protection to your teeth. Book your appointment with us for your Dental Cleanings in Wilton Manors, FL!